Statkraft has acquired the Irish and UK wind development businesses of the Element Power Group. The transaction provides Statkraft with a large onshore wind development pipeline in Ireland and strengthens Statkraft’s position in the UK. The transaction comprises Element Power Ireland Ltd and three UK project companies, including the current organisation with around 50 employees that will be integrated into Statkraft. The portfolio of wind farms currently under development in Ireland (c. 1,300 MW) and the UK (c. 250 MW) fits well into Statkraft's growth strategy and its plans to increase its portfolio of wind power assets to 6,000 MW by 2025. 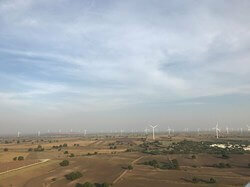 Statkraft is already Europe's largest producer of renewable energy and has an ambition to grow further within hydropower, wind and solar power, as well as market operations in Europe, South-America and India. "This acquisition fits perfectly with our onshore wind power strategy. A very competent organisation based in Ireland and in the UK will strengthen Statkraft's capabilities in project development, construction and commercial management in the UK and Ireland, as well as across markets," says Christian Rynning-Tønnesen, CEO of Statkraft. Element Power CEO Mike O'Neill commented: "We are delighted to complete the sale of our renewable energy and related activities in Ireland and the UK, and especially so to a company of Statkraft's standing and ambitions for growth, who will build on our successful track record of project delivery. They are inheriting an extremely high calibre team and a substantial portfolio of projects that will enable them to take a leading role in the market. We wish them every success, whilst we look forward to continuing the development of our Greenlink interconnector project that will link these two important energy markets and help facilitate their continued decarbonisation." Ireland is one of the selected new growth markets for onshore wind in Statkraft. The company already owns and operates 11 wind farms in the UK and the Nordics with a combined installed capacity of almost 1,000 MW. Furthermore, Statkraft is the majority owner of the 1,056 MW Fosen Vind project under construction in Norway, Europe's largest onshore wind power project. The transaction was completed 2 October and is an acquisition of 100 per cent of the shares in Element Power's Irish and UK subsidiaries (excluding Greenlink Interconnector Limited) from Element Power's principal owner Hudson Clean Energy Partners AIV LP.